One-time socialite Maud Warner polishes up the rags of her once glittering existence and bluffs her way into a signature New York restaurant on a sunny October day. When she shoots Sun Sunderland, the “Pope of Finance,” as he lunches with “accountant to the stars” Burt Sklar—the man she’s accused for years of stealing her mother’s fortune and leaving her family in ruins—she deals the first card in her high-stakes plan for revenge. Maud has grown accustomed to being underestimated and invisible, and uses it. Her fervent passion for poker has taught her that she can turn weakness into strength to take advantage of people who think they are taking advantage of her. It’s uncanny how she reads them. Her intimates in New York high society believe that “Mad Maud” accidentally missed Sklar, her real target. But nothing is as it first appears as she weathers the unexpected while following her script. And while Maud is on the run, the dark secrets of men who believe their money and power place them above the law will be exposed. Betrayal, larceny, greed, sexual battery, and murder lurk beneath the surface of their glittering lives. 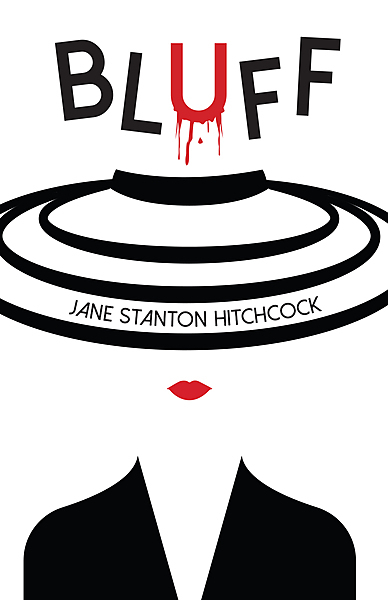 "Jane Hitchcock pulls off another stunning tour de force in her newest crime novel, Bluff. Nobody writes high society and its down-low denizens better than Hitchcock—and this book is her best yet. It's all in the cards—and it's masterful." "With the heart-pounding suspense of a high-stakes poker game, Bluff is a vivid, compelling novel about deceit, seduction, and delicious revenge that will have you spellbound and cheering as you turn the last page." "Jane Stanton Hitchcock's Bluff is the royal flush of suspense novels! The queen of both writing and poker aces it again!" Jane Stanton Hitchcock is a New York Times bestselling author, playwright, and screenwriter. 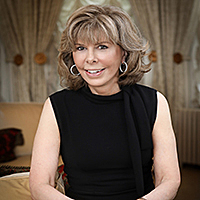 Best known for her mystery novels (Trick of the Eye, The Witches’ Hammer, Social Crimes, One Dangerous Lady, and Mortal Friends), Jane is also an avid poker player who competes in the World Poker Tour and the World Series of Poker. Her sixth novel, BLUFF, pays tribute to her passion for poker and will be published in January 2019. Jane Stanton Hitchcock is married to Jim Hoagland, a two-time Pulitzer prize-winning journalist. They live in Washington, D.C. and New York City.